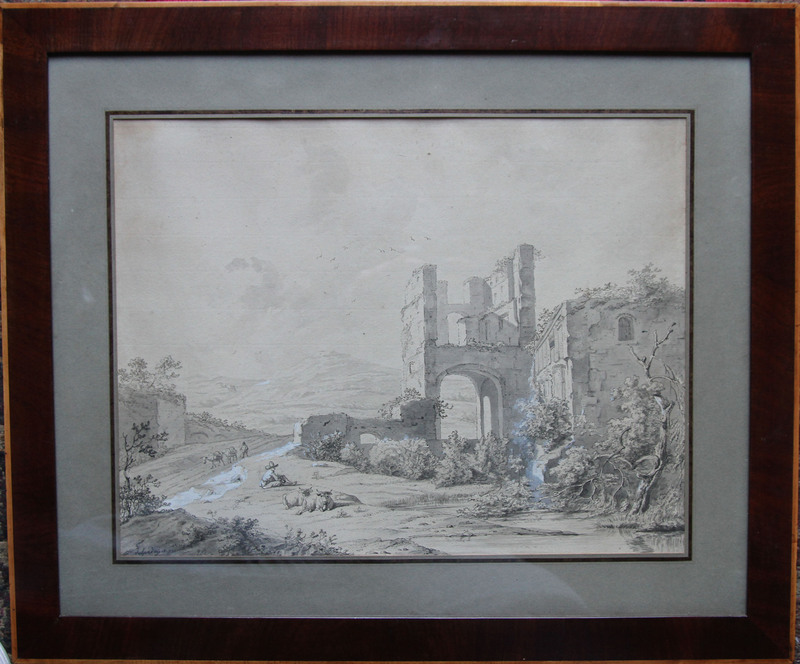 An original Old Master watercolour chalk and pencil drawing which depicts an Italian landscape view. 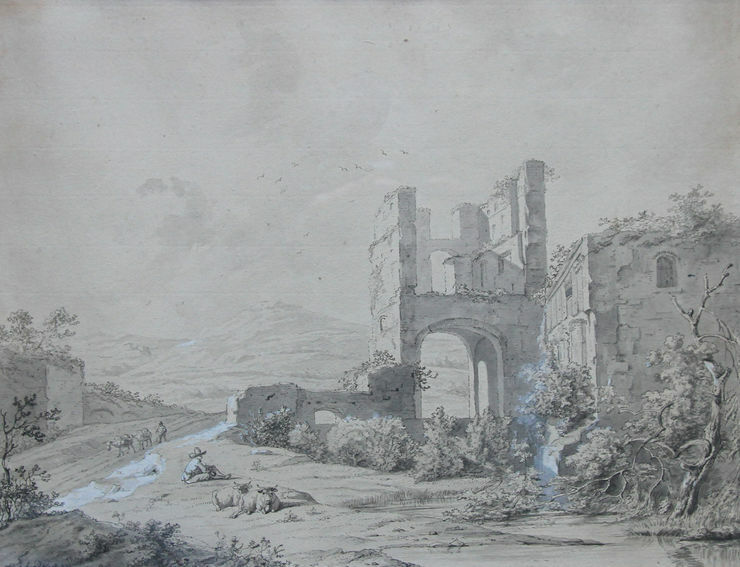 There is a ruined cappriccio folly to the right and travellers to the left against a mountainous backdrop. Painted circa 1830 by artist Johann Christoph Erhard, this is a fine and delicate ink and watercolour drawing. Fine frame 26 inches by 22 inches.